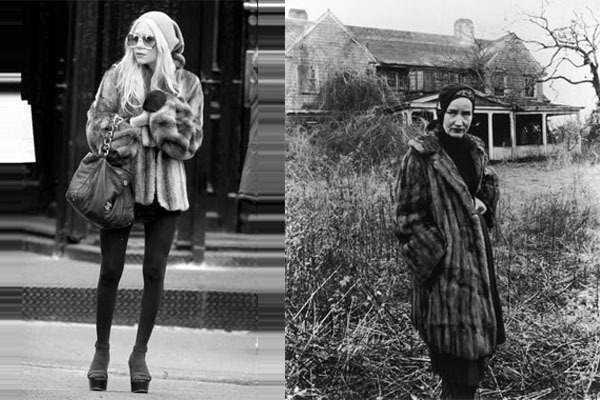 Little Edie was doing Hobo Chic before Mary Kate was even born. Though I love the look of that coat, MK's style is not one I particularly enjoy. I think there's something about looking homeless whilst you have millions in the bank that turns me off. and oddly enough, looking homeless whilst you have millions in the bank turns me ON. i have no idea why, just does.